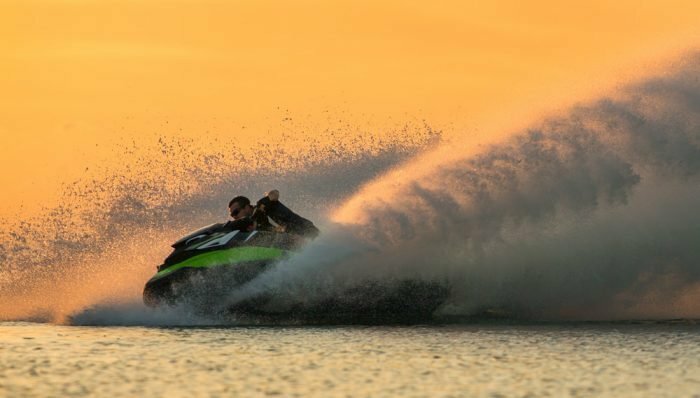 The 2018 Sea-Doo GTR-X 230 is part RXP-X and part GTI, making it a powerful yet playful machine without a direct competitor. 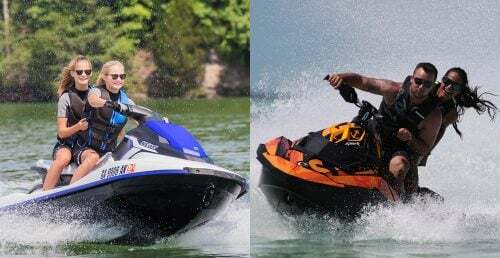 When is Sea-Doo’s flagship RXP-X 300 not Sea-Doo’s flagship RXP-X 300? 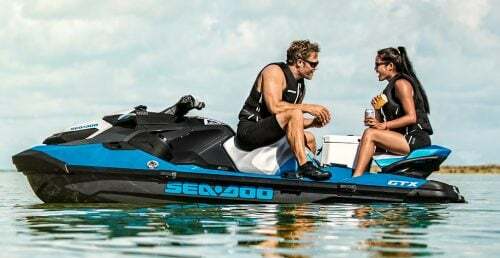 When it’s that craft’s less powerful, less aggressive, but far more affordable doppelganger – the Sea-Doo GTR-X 230. 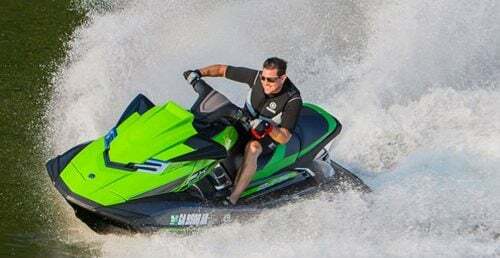 An interesting mashup of the RXP-X top deck, GTR hull and Rotax 1500 HO ACE engine, the GTR-X brings some of a premium musclecraft’s feel to consumers who don’t want the flagship craft’s extreme handling and power, nor its $15,000+ price tag. 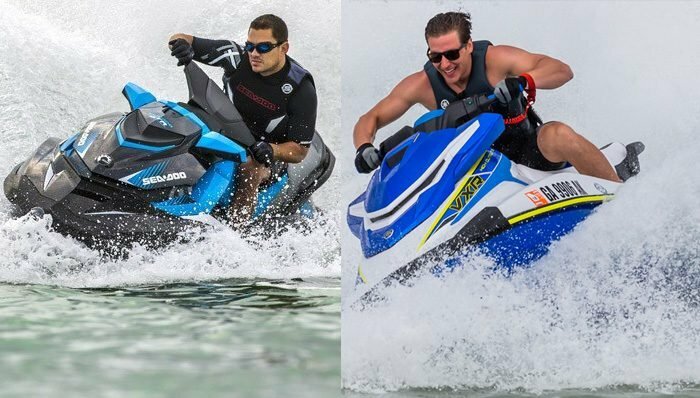 Above the bondline, the 2018 Sea-Doo GTR-X 230 and RXP-X 300 are virtually indistinguishable from each other, save for the difference in color. Those overall edgy lines, somewhat bulky but oh-so-aggressive forward section and the trick ErgoLock saddle are all the same as you’d find on the flagship craft. Like the 300, the 230 also receives a significant change for 2018. Rather than the iconic X-Steering handlebar setup, both craft now feature a slimmer “racing” handlebar configuration essentially lifted from, of all places, the Spark Trixx. I’ll be honest; the minimalist configuration can look a little out of place on a craft with such a beefy overall appearance. Its biggest benefit, however, is the Trixx system’s adjustable riser. 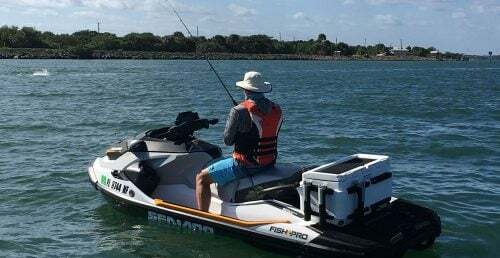 By simply flipping open a front-mounted lever (similar to a bicycle wheel’s quick-release skewer), riders can adjust the height of the bars up to 3”, fine-tuning the craft’s ergonomics to taller riders or those who like to stand in rough water. 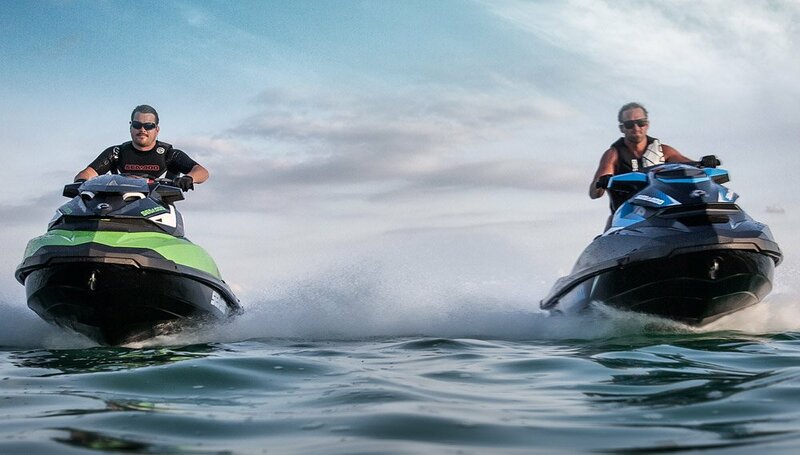 Interestingly, even by late April ’18, Sea-Doo’s website still featured gallery pictures with the former handlebar setup. Don’t be fooled; the change is real. The more bare-bones design incorporates another change for ’18. The familiar up-down toggles that formerly controlled things like Touring or Sport mode, trim, and gauge functions have now even eliminated and their functions incorporated into two diamond-shaped pads adjacent to the handlebar grips. Elsewhere, the RXP-X’s ErgoLock features continue beyond that hourglass-shaped saddle to also include the inwardly canted footwell chocks. Along with forward bolsters that wrap the thigh, the overall goal is to transfer some of the strain of aggressive turns from the weaker upper body to the more powerful legs. Shorter riders will also likely find the slimmer midsection of the saddle more comfortable. 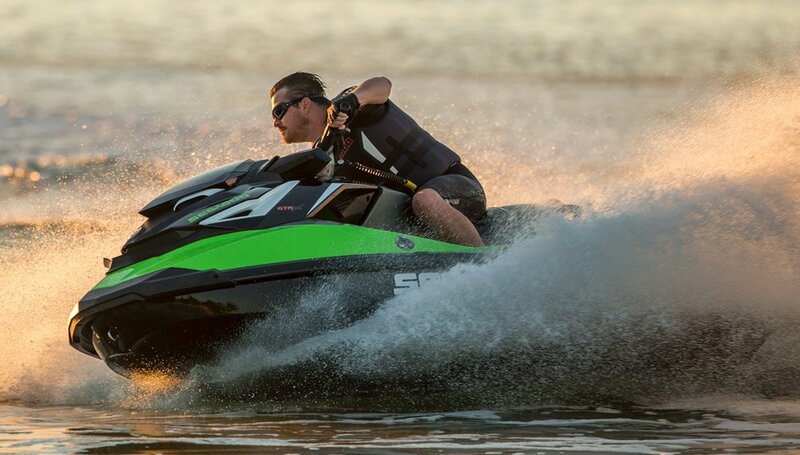 While the 2018 Sea-Doo GTR-X 230 may look indistinguishable from the RXP-X 300, carve your first turn and you’ll immediately feel the difference in hull design. Unlike the RXP-X’s ultra-aggressive deep-V and combination of hard and soft chines, the GTI platform hull used by the GTR-X is more moderate in V, more versatile, but yes, less performance-oriented. In fact, with the right weight positioning, it can actually be loose and playful, able to spin, slide and cut loose old-school style. Yes, it can turn sharply, just like the standard GTI models are capable of, but those turns are more dependent on judicious use of the electric trim and weight placement. Expectations of power, however, don’t need to be quite as restrained. The Rotax 1500 HO ACE features a base borrowed from the former 260hp flagship engine, mated with top half elements taken from the 300hp 1630 ACE. The combination is more efficient, cooler, and lighter. It also features a maintenance-free supercharger, and is optimized to run on regular unleaded, saving owners the added expense of a steady diet of premium gas. Acceleration remains strong, and is improved for ’18 with the addition of a new feature dubbed Launch Control. Activated via a handlebar button, it lowers the nozzle angle to rapidly get the hull on plane with minimal porpoising before easing back to the rider’s previous trim setting. Essentially it does what many savvy riders did, but doesn’t require the manual input. As to top speed, expect to still top out close to 67 mph in good conditions and with a solo pilot in the saddle. 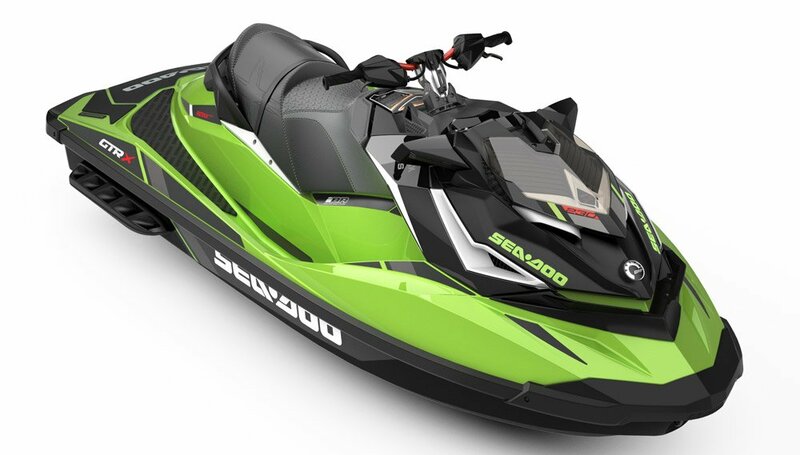 As to extras, Intelligent Brake & Reverse is standard, meaning you’ll have braking power at speed and can toggle the craft in and out of forward, neutral and reverse without taking a hand off the handlebars or eyes off the water. Also included are the aforementioned Touring and Sport acceleration profiles, an ECO mode to save fuel, and two digitally encoded security lanyards (one of which governs performance). X-Package extras add a boost indicator to the display, as well as time/distance to empty, top/average speed/RPM, lap timer and engine temperature readouts. Closest competitor? That’s a tough call, as the mix-and-match approach to the GTR-X 230 combines a performance-minded engine with a tamer hull design and puts the craft in a niche all its own. The standard Sea-Doo GTR ($12,099) clearly goes head-to-head with Yamaha’s VXR ($11,999). 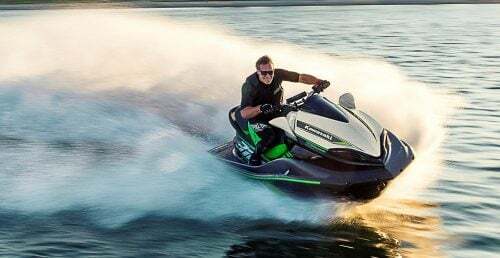 Yamaha’s competitively priced GP1800 ($13,999), however, is far more aggressive and a better one-on-one matchup with the RXP-X 300 ($15,399). 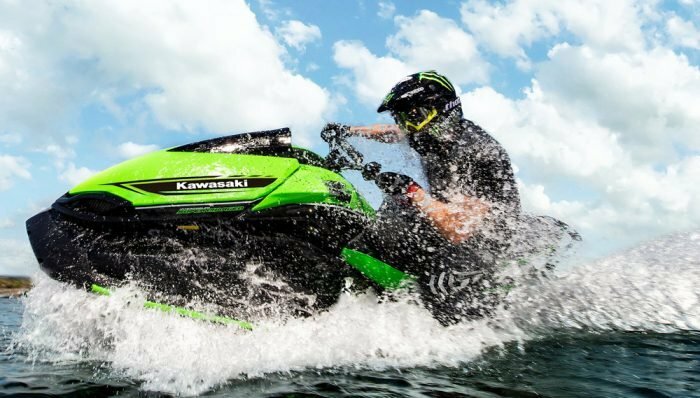 As to Kawasaki, they don’t really go near this segment; the Ultra LX ($11,199) is less powerful and the Ultra 310X ($15,299) far more. 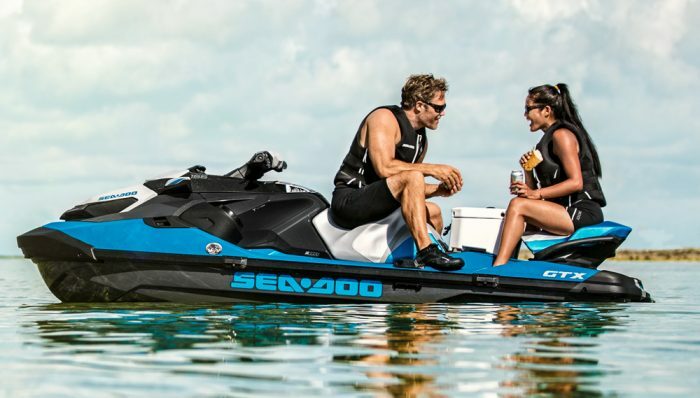 That leaves the 2018 Sea-Doo GTR-X 230 in a unique position…and Sea-Doo pretty clearly on target for its original goal.